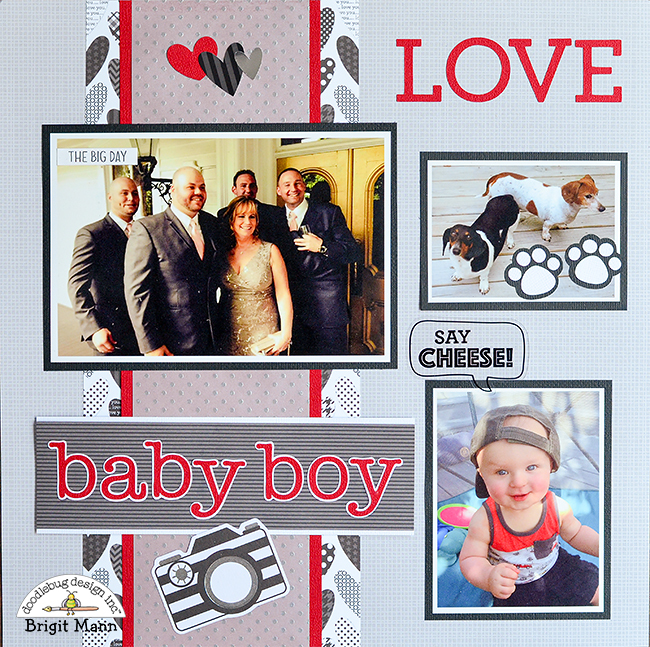 Hi Doodlebug Fans, it's Brigit here today sharing a layout of me and some of my loves. 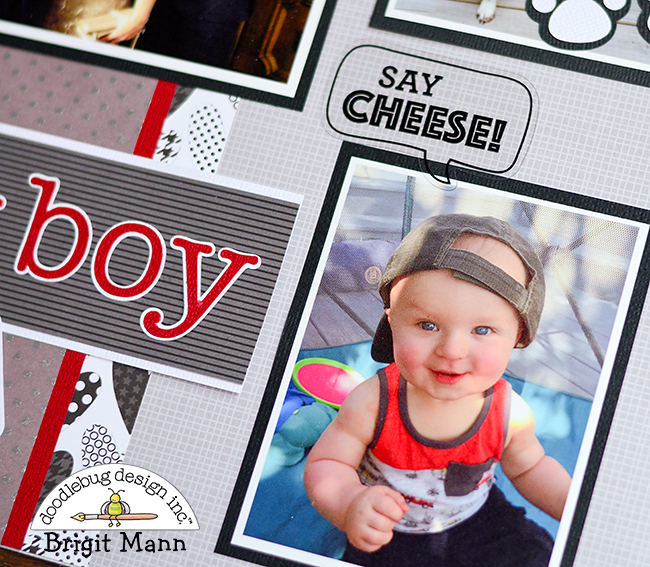 I used the Hats Off collection and a couple of Doodlebug cut files. The punch of red color is sweetheart textured cardstock and the vellum swiss dots is silver sprinkles vellum, love this it's so pretty! 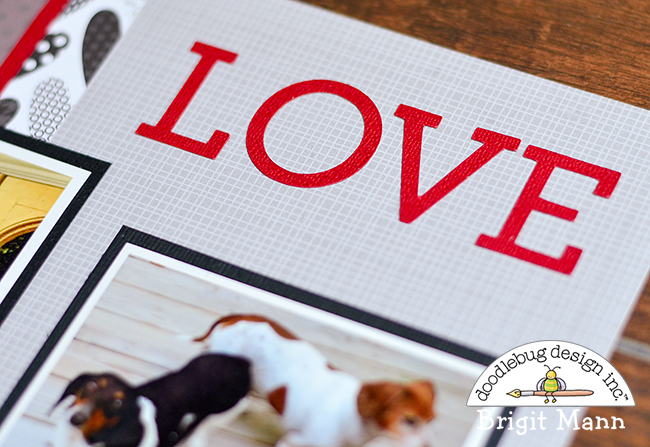 The two paw prints are cut files from the puppy love collection which you can get from Lori Whitlock's store here or Silhoutte Design Store here. The love is from the cookies & cream collection, you can get it here as an svg from Lori's shop or the Silhouette store here. 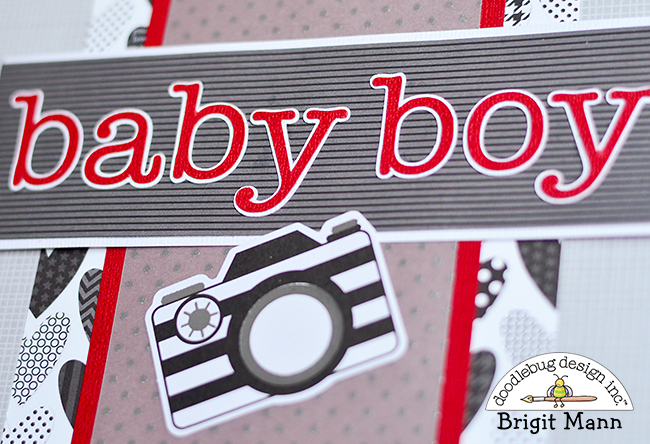 The baby boy cut file is from the snips and snails collection, you can get it from Lori's here and Silhouette here. For the background paper, I used a piece of stone gray gingham-linen petite print. The photos are matted on beetle black textured cardstock and the baby boy on beetle black daisy stripe petite print which is matted on lily white textured cardstock. That's my adorable grandson!! I hope you've enjoyed this project, thanks for stopping by and have a wonderful day!